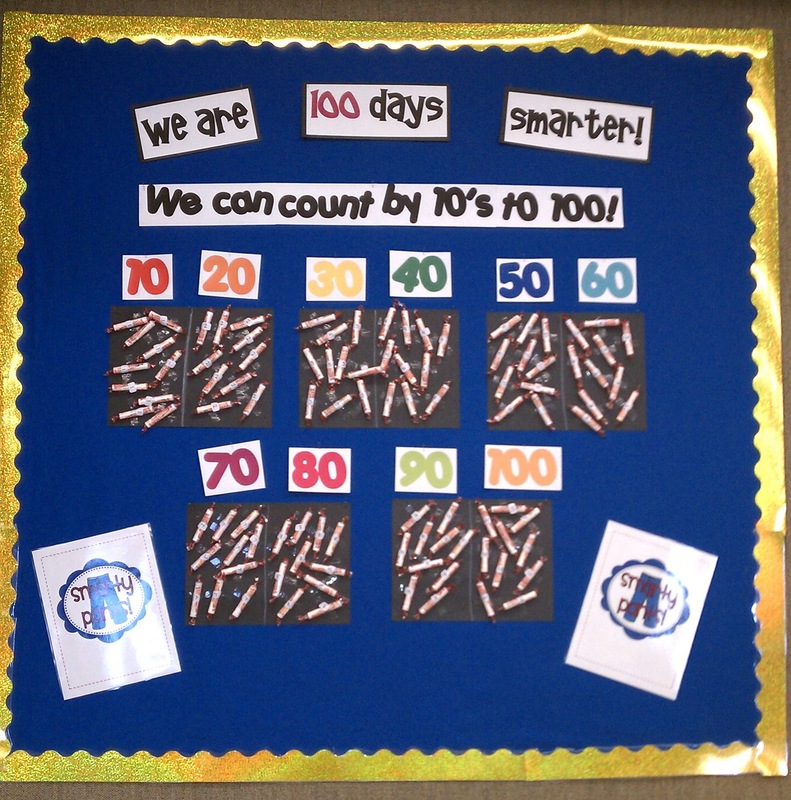 Wards Way of Teaching: 100 Days of Learning! We celebrated our 100th day of school on Wednesday February 17th! I got the idea of having a smarty hunt around the room from a blog. I later tried to find it again and could not. I searched high and low so I could link it on here I'm sorry no link. My students LOVED the 100 smarty hunt. My friend and I labeled 100 smarties in groups of 10 numbered from 1-10. Then I hid the smarties around the room. The students went on a hunt and when they found one they had to place it in the correct group. Our math lesson that day was learning how to sort and group by tens and then counting by tens to 100. I put it on our bulletin board in our classroom. The smarty pants clipart is from The Inspired Apple. When I was growing up I don't think we celebrated the 100th day. I grew up in WA and my husband grew up in CA and he does not remember doing this either. 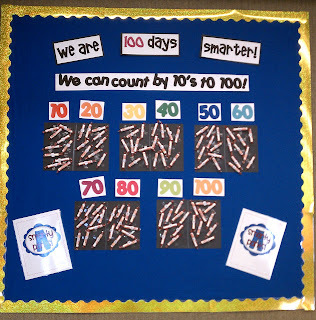 When I did my student teaching in Las Vegas I found out what the "100th" day meant. It was HUGE! I thought it was pretty fun to celebrate learning and so easy to incorporate activities related to this day. Here are two downloads I did with my students last year. Click HERE to download Guess and Check in 100 seconds WS. Click HERE for a directions ws on how to make a 100th day fruit loop necklace. I also had my students draw a picture of what they would look like when they turn 100. One of my students brought her picture back to me and it kind of confused me. She drew her grave with flowers around it! Sweet girl said Mrs. Ward I don't want to be alive when I'm 100! I had to laugh inside and then told her she was very creative. They also wrote in their journals about what they would do if they had 100 of something they really loved this writing prompt.